During Computex a bit of Intel news leaked out that I didn't have time to talk about. Now that I'm back in the US, it's time to play catch up. As Silvermont is expected to drive up the performance stack, Intel will sell the core under Atom, Celeron and even Pentium branded processors. This is very similar to how AMD took Jaguar this generation and used it with both E-series and A-series branding. Thanks to a great tip on Twitter (thanks Ashraf! ), it looks like Intel's Hermann Eul (the new head of the mobile & comms group) leaked specs for the first official Silvermont SKU: the Z3770. 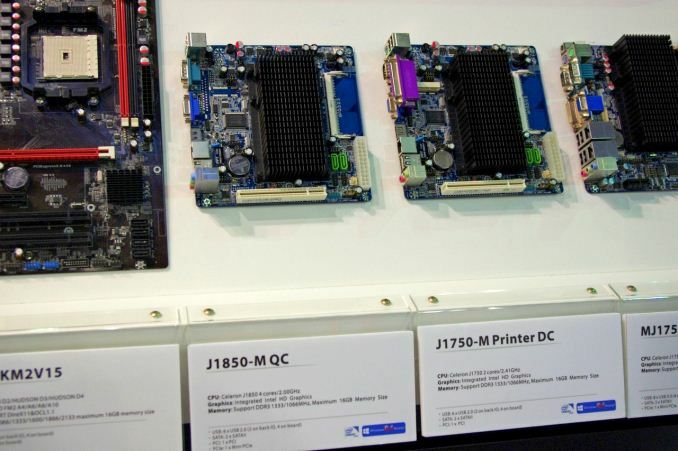 It's unclear if this part will be branded Atom, Celeron or Pentium though. The quad-core SKU features a max CPU clock of 2.4GHz and carries a 2W SDP (Scenario Design Power) rating. Keep in mind that SDP is a thermal rating based on a different set of benchmarks than Intel's TDP ratings, so it's entirely possible for the chip to peak (and sustain) at higher thermals depending on usage model and how the OEM has configured the power profile of the chip. Previous generation Atom cores carried similar if not lower TDPs, which could mean that with Silvermont we're going to see a wider dynamic range of power consumption. We've seen this trend towards greater dynamic range in power consumption for a while now. The devil is really in the details of how power management is implemented. Silvermont takes a step towards Core-like power management, but we'll have to see how that ends up surfacing in final products. Intel claims Silvermont will deliver substantially better performance and power consumption than current (and upcoming) ARM based SoCs. I always like to point out that literally every single SoC vendor has told me that they lead in performance per watt. Today, as best as I can tell, Qualcomm is the rightful owner of that crown. Later this year we'll really find out if Intel takes it back. 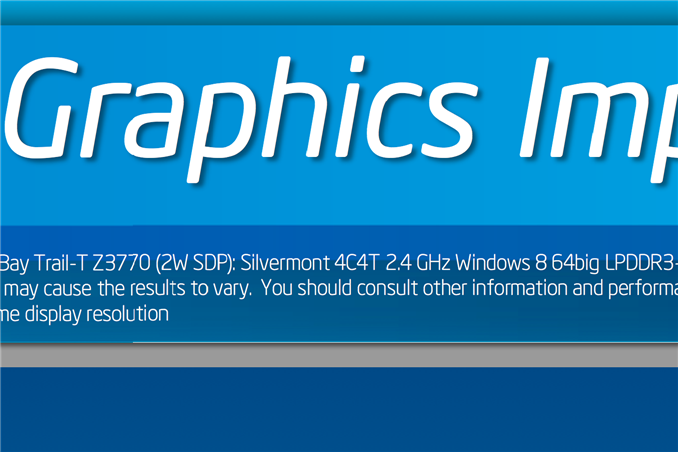 Intel will do the bare minimum required to make desktop Silvermont fast "enough". Combine that with the inherently low power consumption, and you have OEMs all clamoring for the chance to sell slimmer, sleeker machines to boost their slumping sales. At least buyers will now get a good die scratch-made for efficiency rather than a terrible die harvested for yields.